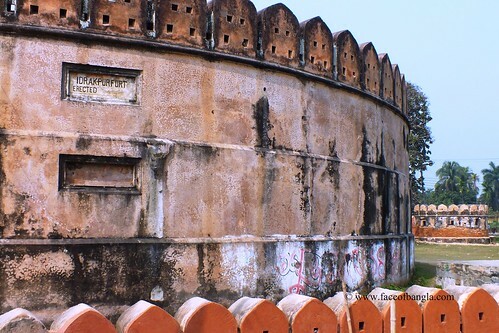 Idrakpur Fort is a structure of Mughal era. 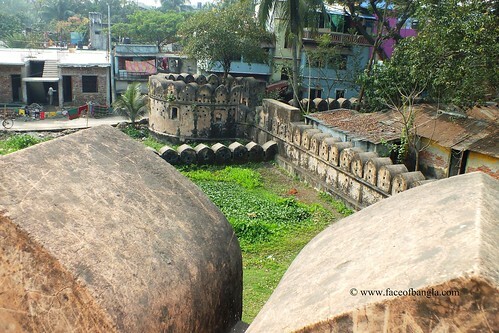 It was built in 1660 A.C. during the rule of Mir Jumla in the Bengal. The intention of building this fort was to protect the empire from the Mogh and Portuguese intruders. This fort was known as a water fort. The reason behind this name is, it was founded on the bank of the Ichamoti river and it was completely surrounded by water bodies. But in the verge of time, the river has changed its way and the water bodies surrounding the fort are completely silted in. Only two small ponds are now exists there in the two different sides of the fort. The entire fort is rectangular in shape. A huge area is surrounded by heavy wall with small window-like holes throughout the wall. The soldiers used to stand there and keep their eagle eye for enemy. They are also used to throw the cannon balls, or shot the guns. In-side the circle, you would find there was a big round-shaped building where reserved army used to stay. 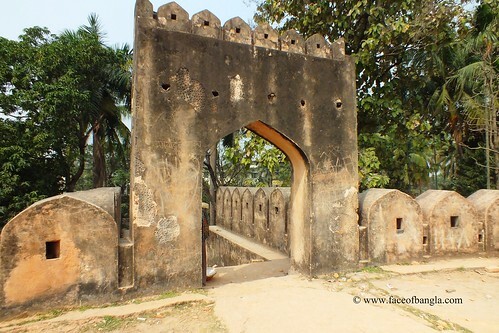 The main gate to get out from this fort was also in this building. So when the soldiers had to confront the enemies they had to come from upper side of the building to downside through a tunnel and stairs which was very interesting to observe. 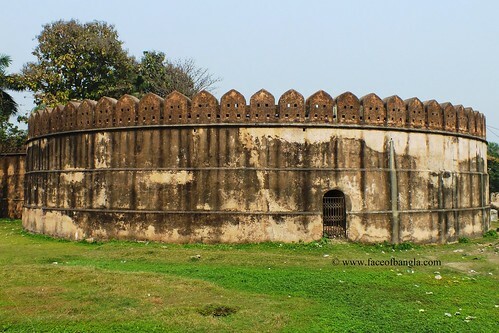 During 1949 government has declared the fort as a Archaeological object of Bangladesh. The central part of the fort was used as residence of the Mahkuma Magistrate and later as residence of District Magistrate since 1991. 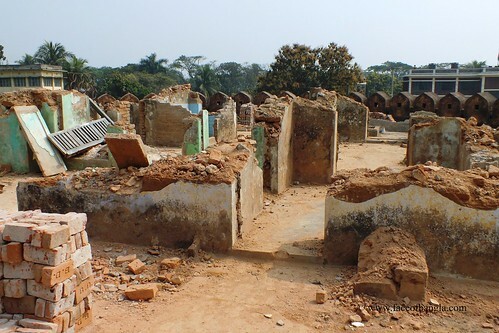 Munshiganj is only 35 km east from the Dhaka city. Buses are available from Gulistan, Dhaka. Buses take approximately (2-2:30) hours to reach Munshiganj Court bus stand. 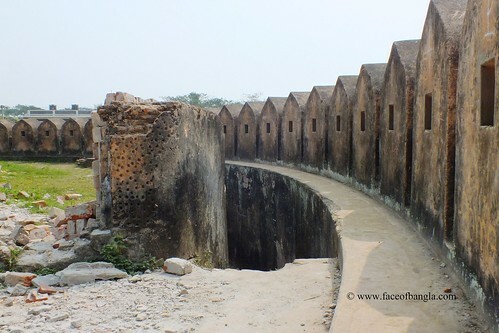 Idrakpur fort is only five minutes walking distance from the bus stand. Munshiganj can also be reached by launch from Sadarghat launch Terminal, Dhaka.